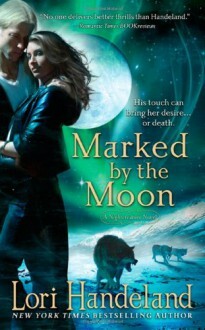 Tough as nails Alexandra Trevalyn does what most people can’t: She kills werewolves. Once part of an elite group of hunters, she’s going rogue these days, though no less determined to rid the world of bloodthirsty beasts…once and for all. That’s why Alex had no choice but to kill Julian Barlow’s wife—and will have to pay the price. Julian’s brand of vengeance is downright devious, and now he’s turned Alex into a member of his pack. It’s only a matter of time before she falls under his spell. With the wild freedom of the wolf in her veins, Alex can’t deny that Julian wakes her most primal passions…and draws her that much closer to the moon’s call, where evil lies in wait. Dieser Teil hat mir bis jetzt am besten gefallen! 4.5 stars. This was my first full length Nightcreatures novel and I was very pleased. I really enjoyed the story. I had a hard time putting the book down. Can't wait to read the rest!